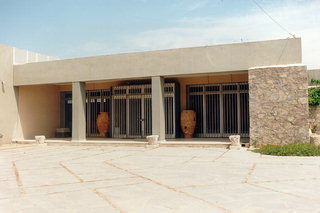 The Archaeological Museum of Seteia contains the most important finds from eastern Crete. Apart from the exhibition halls, the museum has storerooms and workshops, as well as offices for scholars and the staff. The explanatory labels of the exhibited finds are written in five languages. The museum opened to the public in 1984 and is going to be enlarged soon. The items are exhibited in chronological groups, with explanatory details for each period.